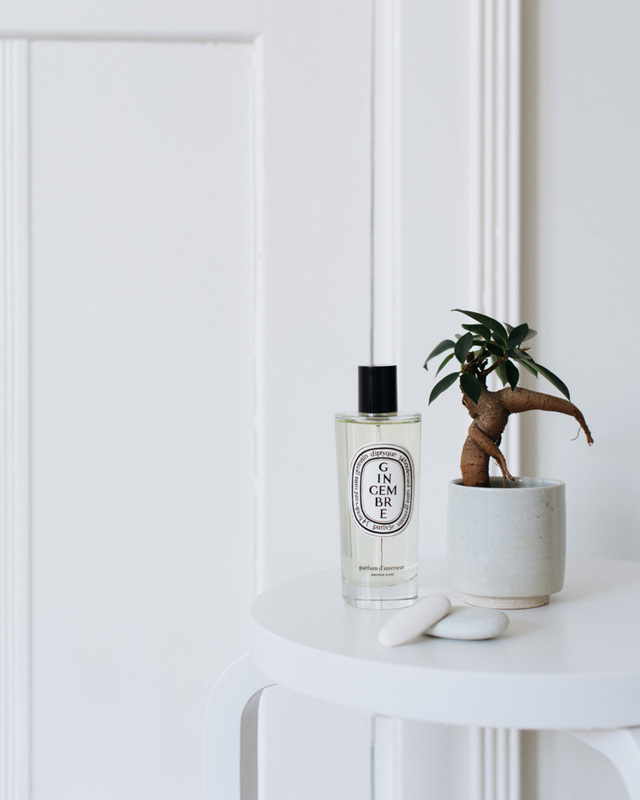 ‘Gingembre’ room spray by Diptyque. It smells vibrant like freshly cut ginger. Japanese incense sticks produced by Shoyeido. Scent ‘Gen-Roku’ features aged woods and fine herbs. 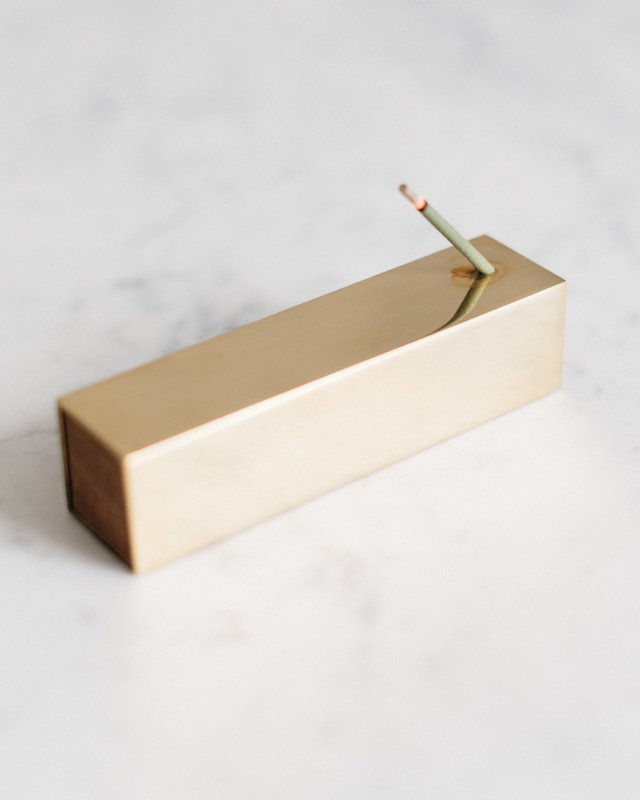 Brass incense burner by Monocle. Where I grew up, it smelled like fresh air. That is what I most vividly remember from my home. I remember my mother opening windows and balcony doors for fresh air. I think she must have also taken all the rugs out often, and she definitely dried laundry outdoors whenever possible. Besides keeping the air moving and my home fairly clean, I love introducing a little bit of scent here and there. Scents create moods. They often touch us much more deeply than aesthetics. When we examine something with our eyes, we create a distance between ourselves and the thing we look at. Our eye reaches what we want to see, whereas sounds and scents reach us. They come towards us and envelop us and we experience them in our bodies. It is easier to distance ourselves from a scene than to escape a smell. Spending some days on a seaside resort in the jungles of Vietnam, I was impressed of the way they used incenses to scent the spaces, most of them partly outdoors. The air was so fresh everywhere you went, yet there was this subtle scent that would wake up your whole body as you breathed in. 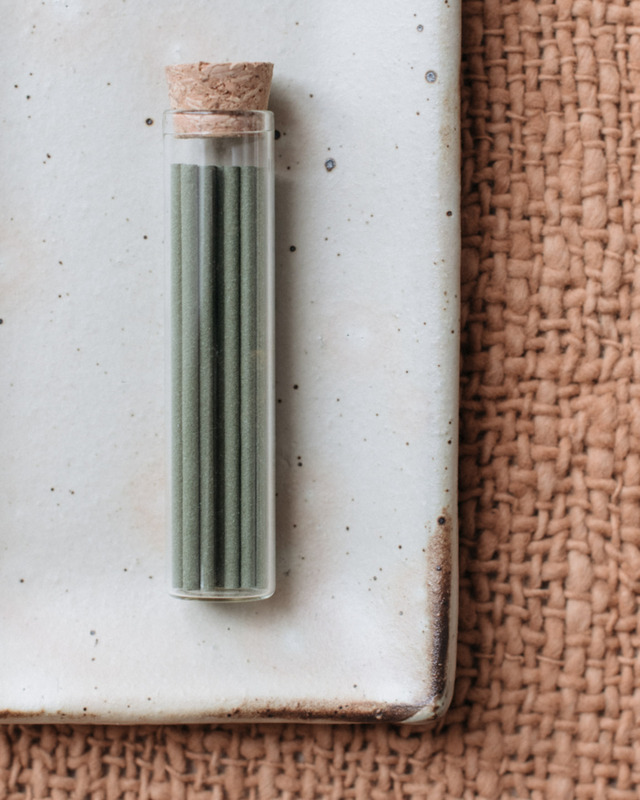 One of my favorites to use at home right now: Japanese Jinkoh (Agarwood) incense sticks. The scent has been traditionally used in tea ceremonies as well as for its soothing and relaxing benefits.